Outlook.com is the upgraded version of Hotmail and Windows Live account. We are guiding Outlook.com sign in, not to be confused with Outlook 2013 or 2016. Outlook account which is also known as Microsoft account can be accessed with web or mobile. 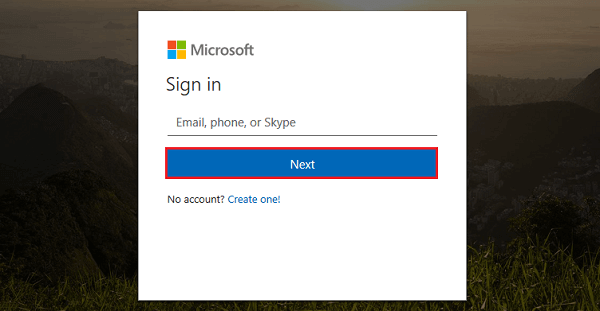 Once you sign in to Outlook.com, you don’t have to login other Microsoft products individually as Microsoft has unified its services into a single login page. 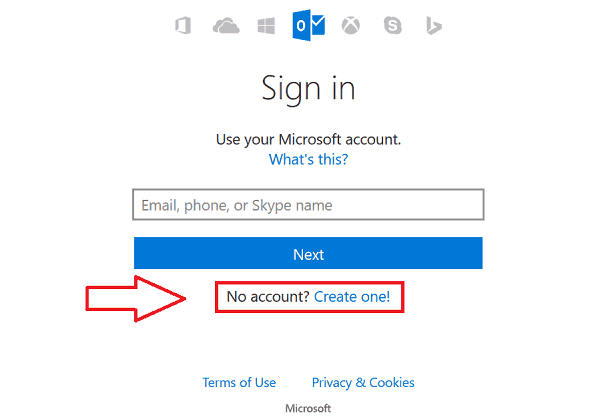 Create an Outlook account if you don’t have one. Outlook email sign in is a straightforward and minimal process. Anyone with internet access and Outlook account can log in to access emails and other services from Microsoft. 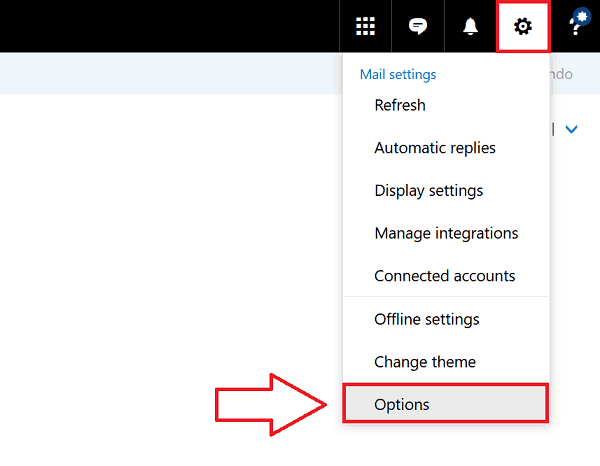 Here is the step by step instruction with images for Outlook sign in so we hope you won’t get any difficulties while accessing your inbox. Step 1: Open https://outlook.com from your any web browser. Step 2: Enter Outlook email account in the box written ‘Email or phone‘ and click ‘Next’. Or you can also use other Microsoft account. 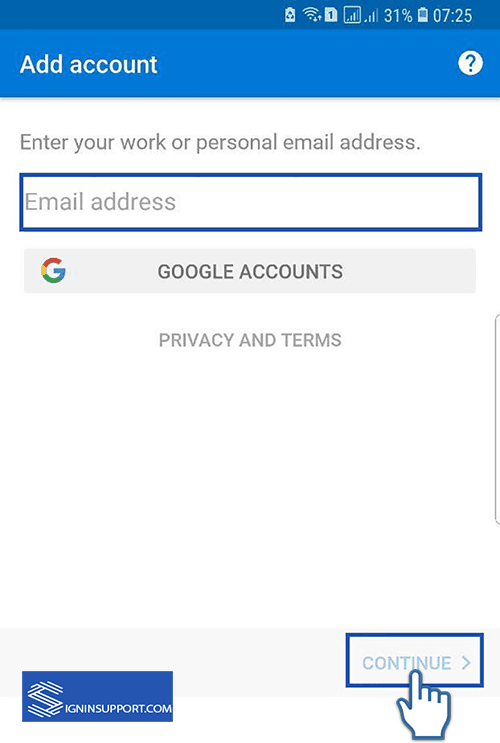 You have to enter your full email address like [email protected] If your Outlook mail account is associated with a mobile number, then you can enter your phone number instead of email address. Enter the password of the account you have entered in the box written ‘Password‘. And click on ‘Sign in’ you will be then directed to Outlook email inbox. Passwords are case sensitive so make sure you’ve entered correctly. 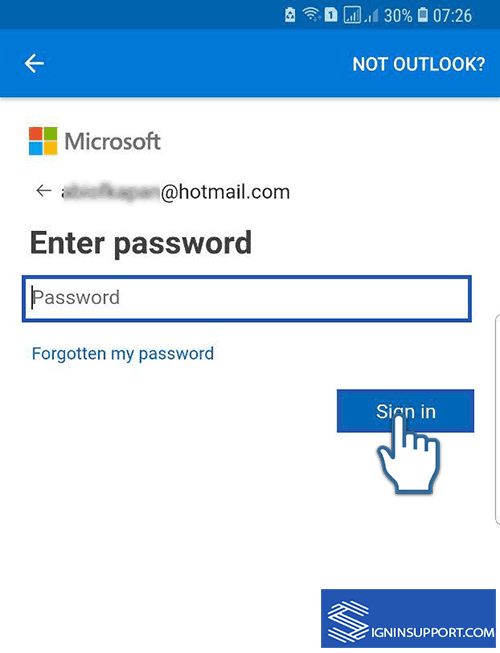 If you are login Outlook.com from your personal device or the device you can trust then check on the box ‘Keep me signed in‘ option after entering your Outlook email address and password. That way you don’t need to enter your login credential each time you want to sign in to your account. If you are using someone’s device for Outlook.com login, you can use a single-use code for safety. It is the code which can be used instead of your regular password. 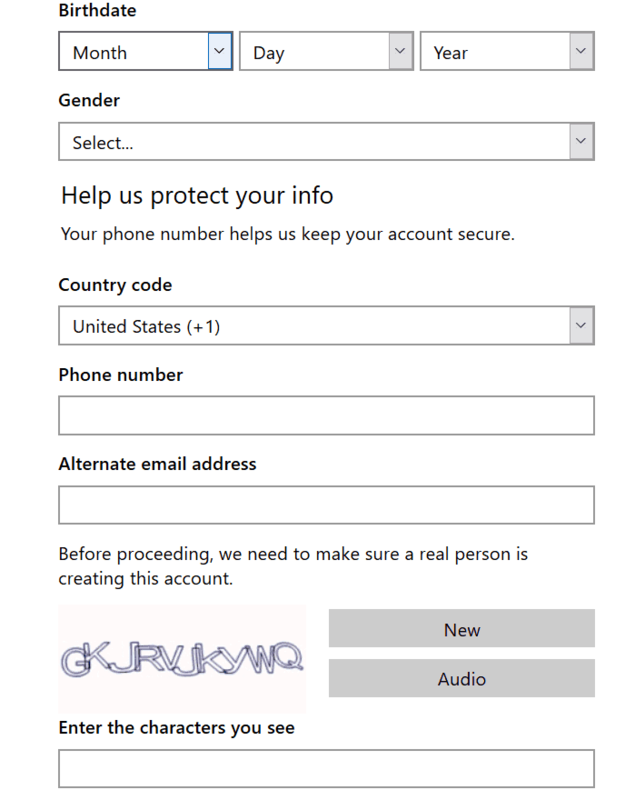 Enter your email address and mobile number associated with your Microsoft account, and you will receive a single-use code in text. 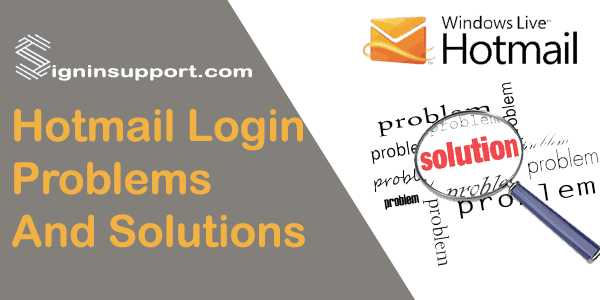 If you are not able to sign in to your account, then you can check solutions for some common Outlook mail login problems. Step 1: Visit Office 356 login page from your browser. 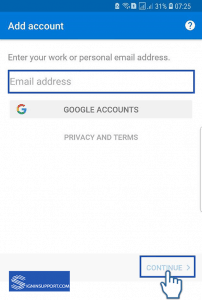 Step 2: Enter your full email address which is provided by your workplace or school. And enter the password of the respective account. This email is the personalized email of your institution. For example [email protected]. If you are not sure about email address or password, then contact your IT department. Step 3: Click ‘Sign in‘ and you will be directed to the Microsoft Office Homepage. Click on ‘Mail‘ Sign to access your Inbox. Step 1: Visit web address given by your IT department or the person who manages your mail account. For ex., an organization named example may have used an address like https://mail.example.com. Step 2: Enter your full email address and password and click ‘Sign in‘. 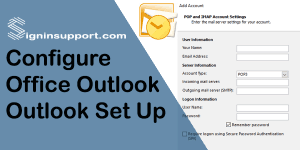 It is also known as Outlook web access which permits you for accessing emails that do not have an email client installed, and it works in all major browsers and all main OS major platforms. You can also login to Outlook from mobile. 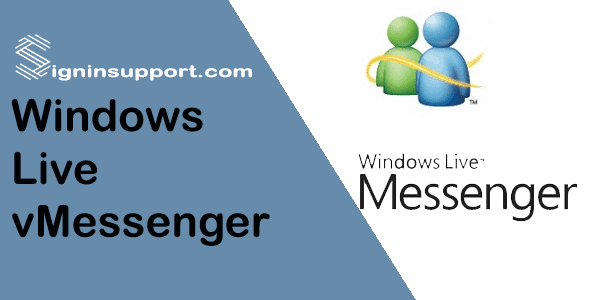 Windows Live Messenger (famously known as MSN Messenger) was the most popular instant messaging platform of that time, but unfortunately, it was discontinued by Microsoft. Live Messenger was available on a mobile OS like Blackberry OS, iOS, Symbian OS and Windows, Xbox360, and Zune HD also. It was multi-platform service where you could’ve connected Microsoft Messenger Service, and Facebook and Yahoo Messenger as well. Though its name has been changed many times, people still remember it as MSN Messenger which was launched in 1999. Free to download and it was available in more than 60 nations with more than 330 million active users per month. Instant messaging, call and Video call was available. People could also share files via Windows Live Messenger. Hotmail and Windows Live Mail integration. MSN search was available via Messenger. Different theme for chatting in accordance with your mood. Though it was very popular Messenger among all age groups especially, young people, Live Messenger was discontinued by Microsoft in 2013. The main reason for this decision was the acquisition of Skype by Microsoft. Users Now can access Skype with Microsoft email account. Skype is quite popular for Video call and Video conferencing. People were a little upset when they couldn’t download Hotmail Messenger, but they slowly and steadily adapted to Skype Messenger. As Hotmail Messenger Download is not available, don’t download some random software from third-party sites. You can download Skype Messenger instead of Hotmail MSN Messenger. Visit Skype site and download Skype from your PC/Tablet/Mobile/Console etc. You can either ‘Use Skype online‘ or ‘Download Skype‘. 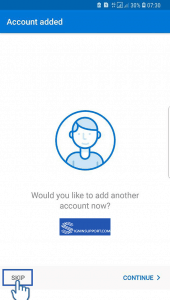 If you choose online, enter your Skype login id and password (Microsoft account login) or if your account is connected then you can log in to Skype with Facebook. If you select ‘Download Skype’ you will be redirected to the download page, where you will have different download options. You can download Skype for Computers, Mobiles, Tablets, Xbox, Wearables, and TVs. Download Skype for your device and log in with Microsoft account. If you don’t have an account, then sign up for Microsoft account. Windows Live Messenger (formerly MSN Messenger) is a discontinued instant messaging client developed by Microsoft for Windows, Xbox 360, BlackBerry OS, iOS, Java ME, S60 on Symbian OS 9.x, and Zune HD. It connected to the Microsoft Messenger service while also having compatibility with Yahoo! Messenger and Facebook Messenger. The client was first released as MSN Messenger on July 22, 1999, and was marketed under the MSN branding until 2005 when it was rebranded under Windows Live and has since been officially known by its present name, although its previous name was still used colloquially by most of its users.In June 2009, Microsoft reported the service attracted over 330 million active users each month, placing Messenger among the most widely used instant messaging clients in the world. You are trying to login to Hotmail account, but someone else’s account is already logged in? It happens because someone who’ve used your device forgot to log out. 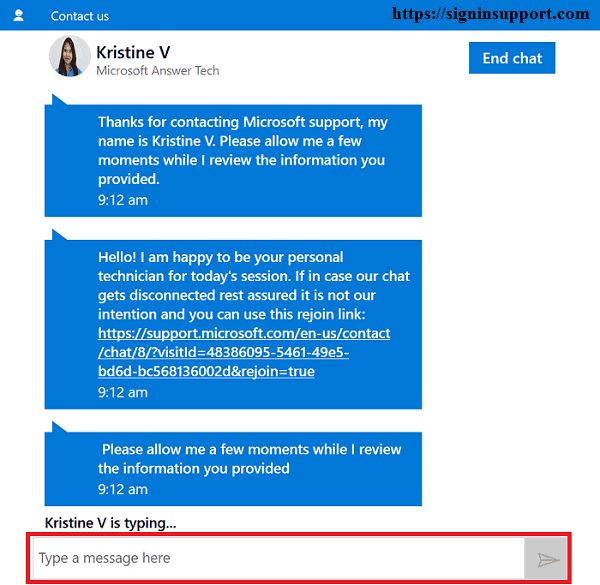 In this page, we explain you step by step instruction to new Hotmail account sign in. When using common PC in the family or office people set the ‘Remember me’ option. That’s why when you try to log in your account, you reach into their inbox instead of the sign in page. If you want to make different Hotmail account, then you can create a new Hotmail email account. 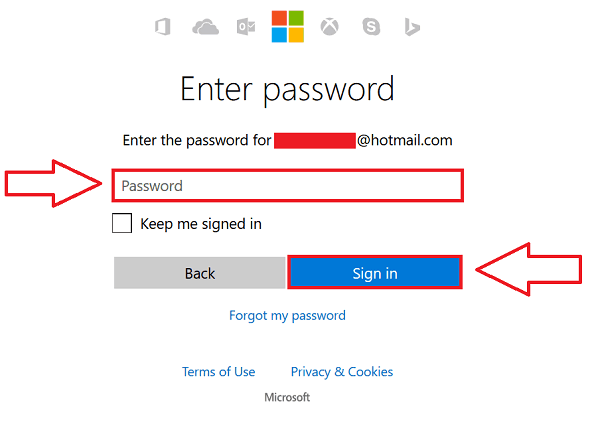 With the following steps, you will be able to do Hotmail login for a new account. Step 1: Open Hotmail.com from your device, or Go to Hotmail login home page where someone’s account is already logged in. Step 2: Click on profile photo on the top corner of the right side. Step 3: Click on ‘Sign out‘ among the option where you see a name, email id of another person. 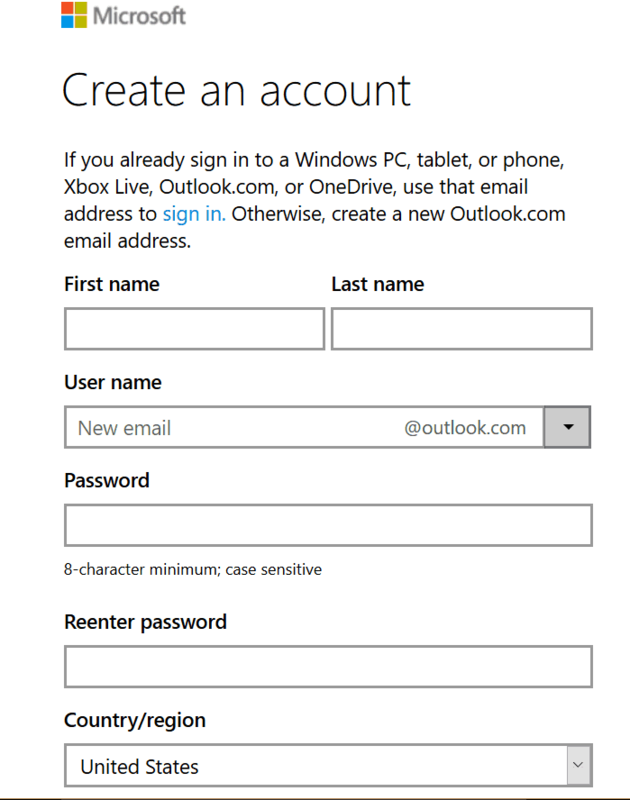 Step 4: Once you log out of that account, you can log in to Hotmail with a different account. Follow Hotmail email login process. This problem of someone’s account being logged in arise when you set your browser to remember your login, or you’ve instructed Hotmail to keep you signed in. To avoid such problem, ask the person whose account was logged in not to check the option ‘Keep me signed in‘ while logging in. Open Setting and clear all history, caches, and cookies. So your browser will not remember old login and you can log in with new Hotmail account. In Windows 10 your device will remember the login credential of the primary user whose account is used in the laptop as administrator. In such a situation, Microsoft edge will never forget his/her login details always. So even if you log out Hotmail, next time automatically shows same Hotmail logged in. So either you can perform above mention steps of Hotmail sign in a new account, or you can use different browsers like Mozilla Firefox or Google Chrome to login. If you want to add another Hotmail account in mobile or sign in as a different user, the above steps work for Hotmail mobile site. If you are using Outlook app, then follow this guide to add a separate account in Hotmail mobile. Hotmail login gives you access to Hotmail inbox from where you can send, receive and manage emails. As Microsoft has unified its login page Hotmail sign in allows you to access Microsoft services like Office 365 online, OneDrive, Skype, etc. Don’t have a Microsoft account? You can get one with Hotmail sign up. 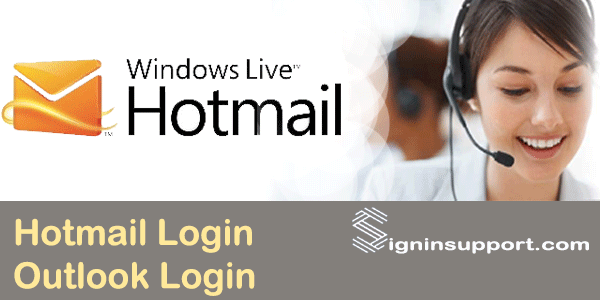 Hotmail login interface is changing continuously, and even inbox is being regularly upgraded. All Microsoft emails are now Outlook mail. Only your email address will be Hotmail.com. Everything else has been changed to Outlook.com. You can log in to Hotmail email from PC/Desktop, tablets, Mac, and mobiles or if you wish you can also access via smart TV as well. 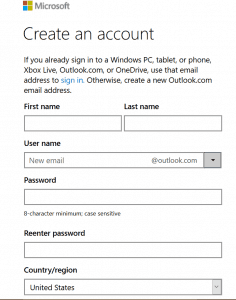 Login procedure is the same for Outlook.com as well as Live Mail. Step 1: Visit hotmail.com. This web address will automatically redirect you to Outlook login home page. Click ‘Sign in‘ icon as shown below or at the top right corner. 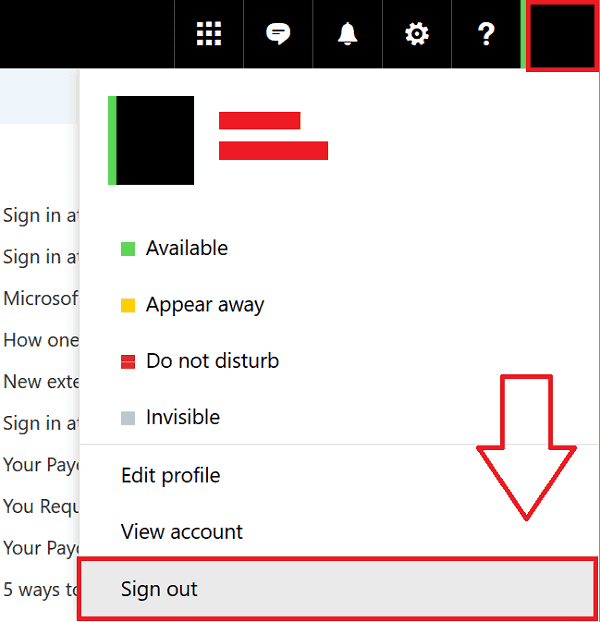 Step 2: Enter your Hotmail email id in the first box displaying ‘Email, Phone, or Skype name‘ and click ‘Next’. We suggest entering your full email address like ‘[email protected]’. Step 3: Enter your Hotmail password and click ‘Sign in’. Remember passwords are case-sensitive so if it says the password is incorrect, check whether caps lock is on or you entered a wrong password. If you want your device to remember your login details, check the box ‘Keep me signed in‘ before clicking ‘Sign in‘, so you don’t have enter login credentials every time. Please note, this is only recommended for personal computers and laptops. Your favorite Hotmail can also be accessed from Android and iOS devices as well. 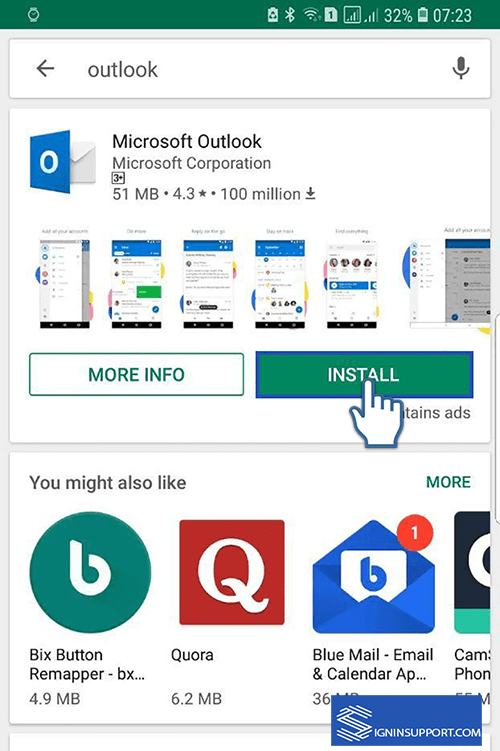 The Hotmail email app is named as Outlook in App Store and Google Play store. 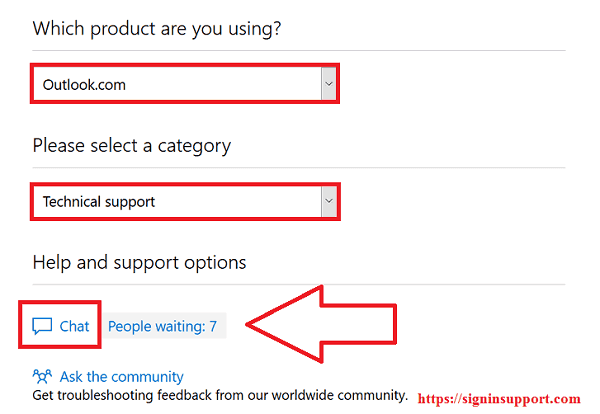 Here are the steps for Hotmail login from mobile. 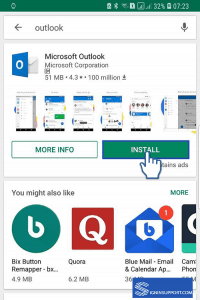 Install ‘Outlook’ app to your mobile device. After installation, open the app. You are on home interface of the app, click get started to sign in to your Hotmail for mobile. Enter your Hotmail email and click ‘Continue’. At this point, you need to enter the password of your Hotmail account. Please make sure you enter the correct password of your email. After that. click ‘Sign In’. On the next step, you will be notified that your account has been added to Hotmail mobile app. If you want to add more accounts, you can continue. Or click ‘Skip’ to go to your inbox. You will get an introduction on how to use the app on the next step. You can skip this if you are familiar to the Hotmail mobile app. Congratulations! You have successfully signed in to your Hotmail mobile app. Windows PC user can access Hotmail from Mail app, which can be downloaded from Microsoft store. Open Mail app from programs or search ‘Mail’ from Cortana/Search box. You’ll be asked to choose the type of your email, select Outlook.com. Enter your Microsoft account and password and click sign in. 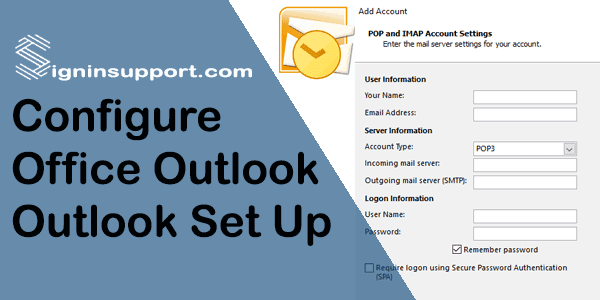 You will reach your Hotmail inbox which is now named as Outlook Mail. You can access all your old Hotmail emails and contacts at outlook.com. If you face any issues in Hotmail account login, please visit Hotmail login support page. Microsoft has shut down its service to provide emails by region and language. Now, all the regional domains are redirected to its outlook.com domain with the only option for Hotmail Login in English. Previously supported languages are not valid for login. However, you can change the language of your inbox to English or your preferred language from English. Please see below steps to change your Hotmail to English. Log into your Hotmail inbox and click Gear sign on the top of the page, left to your profile. You will get a drop-down menu, click ‘Options’. On the left side of the page, You will see a drop-down menu with ‘General’. Expand it and click ‘Region and Time Zone’. Please choose your preferred language. You can choose your native language as well as change it to English from your Native language. Click ‘Save’ if you want to keep the changed language or click ‘Discard’ if you don’t want any changes. The page will restart if you choose to save. Now you will be able to see the changed language instantly. You can also revert to the older language by following steps 4 and 5. Please note that this will not let you login Hotmail in English. This will only enable your desired language after you log into your Hotmail account. Two-step authentication lets you sign in to Hotmail email account securely. 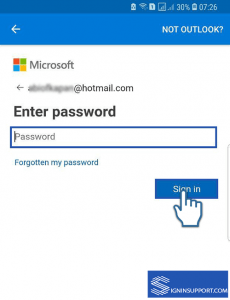 If your Hotmail account contains sensitive personal or business information, it would be better to use two-step verification for Outlook email login. When two-step verification is enabled, you have to enter additional security code after you enter Hotmail login password. You can get security codes via Text, Email, or Authenticator app. In your personal and trusted device, check/tick on the option ‘I sign in frequently on this device. Don’t ask me for a code.’ By doing so, you don’t have to enter two-factor authentication code for Hotmail sign in for that particular device in future unless you clear web cache/cookies. Go to Microsoft Account Settings > Security & Privacy > More Security Settings >Two-Step Verification > Turn on two-step verification. To disable, follow the same process, and click > Turn off two-step verify. 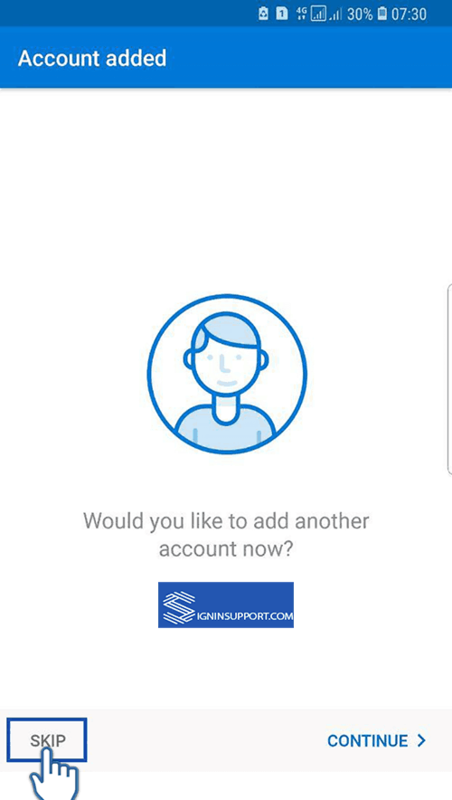 When you set up the authenticator app, you don’t need to wait for a text to arrive in your cell. It will work even when you are traveling abroad or places without a mobile network. Hotmail & Outlook users face some problem while accessing their emails. Here we are trying to help you with some common Hotmail login problems. Many of Hotmail login problems are not actual problems; you can solve them without any problem. While some of the issues are big and you need help from Microsoft. Some of the issues are incorrect username/password, hacked accounts, disabled account, etc. Most of the common problems are listed below with possible solutions. Unable to login to Hotmail? Try some of the remedies below. Check the status of the service. Check the exact status of the server of Microsoft on https://portal.office.com/servicestatus. It will show you if there are any temporary server issues on your location. In the event of Hotmail down, you can’t do anything from your side except wait for it to come online. If everything is up and running well, follow the next step. Check firewall or antivirus program settings. Antivirus program installed to protect your personal computer sometimes blocks the Hotmail website. Check your configuration, if you’ve enabled ‘Internet Email Auto-Protect’ or ‘Internet Email Protection’ disable it, or try signing in using next alternate devices. Sometimes, we fail to login to Outlook.com because of the browser that we’re using for web surfing. In this case, we suggest to update or install the browser to the latest version that is available to your location. Some features of Outlook may not be available on the old version of web browsers. If your problem is account related rather than connectivity related, then we suggest you check some of the possible solutions below. This issue is noted as the most common Hotmail Login problems because most of us forget our login credentials of Outlook account. If you get pop-up message ‘Username and Password do not match’ then make sure you entered the correct username and its password. First check whether Caps Lock key is on or not, because Outlook.com passwords are case sensitive. You need to type your full email address, don’t omit @Hotmail.com portion while entering your username. If everything is okay and still you didn’t make it, try reset Hotmail password. It can be frustrating if your Hotmail account gets blocked unknowingly and you can’t log in while you need it the most. Have patient. You can get it back. Sometimes email service provider temporarily blocks your account if it caught on any suspicious activities on your account. Generally, if your account is found involved in spamming then you might get blocked. To unblock your Microsoft account, sign into it and do follow the on-screen instructions to get a security code. Enter the code after you receive. Accidentally deleted all emails from the inbox. You can recover your emails that you accidentally deleted in past days. And this feature also helps in case if any hijacker hacked your Outlook account (can’t access Outlook) and came to delete your all-important emails from the inbox. To recover deleted emails, click ‘Deleted’ folder located on the left-hand side of Hotmail email inbox. Then select emails that you want to retrieve. Notice that: Recovering emails feature is not available on child accounts. If you delete emails from child’s account, they will be removed forever. Didn’t receive the verification code. 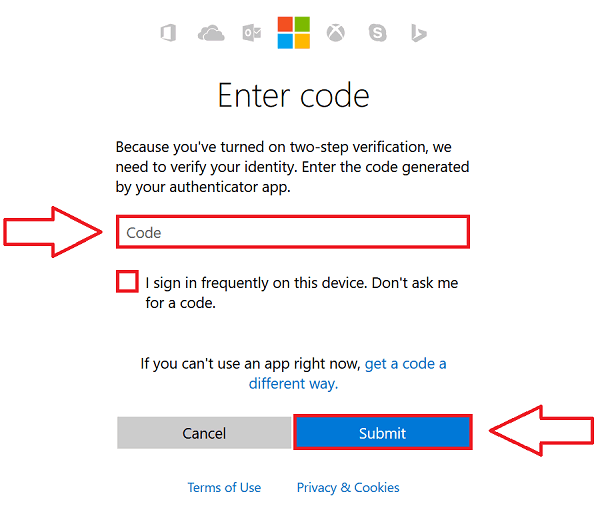 If you’re using two-step verification to login or sign in Outlook.com with single-use code, the verification code is essential to complete Outlook login. And if you failed to receive the verification code, make sure that you entered the correct mobile number, and you’ve access to it. We suggest you to use Authentication app to generate code, so you don’t have to rely on the text message to receive security code. Microsft support says they are aware of the issue and engineers are working to solve this problem. So there are no other ways except waiting for now. You may have kept Hotmail as a backup email account for other service or Social media like Facebook, Twitter, etc. But when you try to access Hotmail after a long period, it may say your Hotmail account doesn’t exist. It’s because if your Microsoft account is not active. Please see the table below to find if your Hotmail account is still active based on your last login. If you’ve any other Hotmail login problems or Hotmail errors rather than listed above, we recommend you to visit the Hotmail support forum. You can create a signature in Outlook or add it so that the signature automatically added whenever you create a new email or reply to emails. This feature of Outlook will save your time and prevent typo errors in your signatures. Outlook also allows you to create multiple signatures so that you can use a different signature for professional and personal emails. You can also add useful universal messages like “Think before you print; Your small endeavor to protect nature” that you want to be displayed along with your Signature. The message should be such that, it will reflect your nature and intention. It helps to create your positive impression among the recipients of your emails. Step 1: Sign into outlook.com and click on ‘setting gear‘, in the upper right corner just before the question mark sign and click on ‘Option‘ at the last of the drop-down menu that appears. Step 2: A menu tab will appear towards the left corner of the page. In the menu, under the layout heading click on “Email Signature”. If you cannot see Email Signature option, click on the Layout heading to expand it; then you will be able to see the required option. 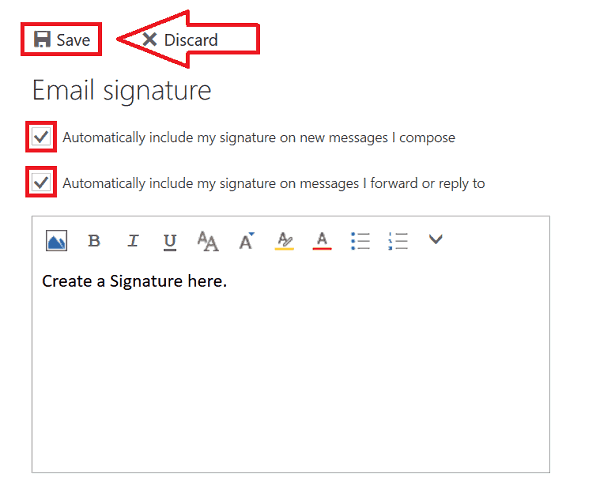 Step 3: Create a new signature for Outlook. You can insert images, change font, text font color and add hyperlinks to make your signature more informative and attractive. Step 4: Check in the box whether you want to include sign on all emails you compose, or you want it on emails you Forward/Reply as well. Once you are done click ‘Save‘ and your signature will be automatically attached to emails that you compose, reply or forward. 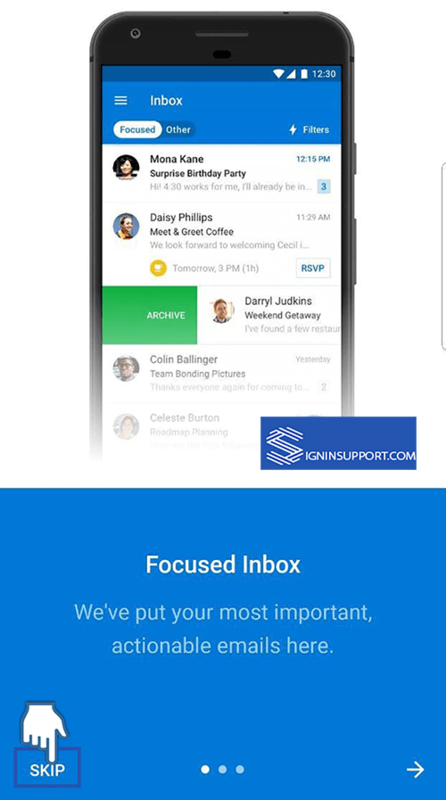 Step 1: Go to Outlook app from your Android device. Step 2: Tap on setting icon in the top right corner. Step 3: Scroll down and tap on ‘Signature‘ beside ‘pen‘ icon. 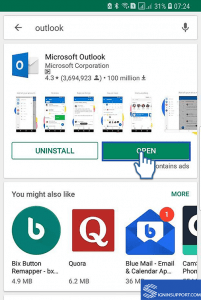 Step 4: Delete ‘Sent from Outlook Mobile‘ and create an email signature in Outlook which you want to add in an Outlook email account and tap correct sign in the top right corner. Step 1: Open Outlook app from your iPhone. Step 2: Tap on setting sign ‘Settings‘ at right down corner. Step 3: Scroll down a little and tap on ‘Signature‘. Step 4: If you want to use the same sign in all your account then turn off ‘Per Account Signature‘ otherwise leave it ‘On‘. Step 5: Finally edit the default signature ‘Sent from Outlook mobile‘ and then write what signature you want to add in Outlook email. You can add a signature in Outlook; which can be text, an image of the logo, image of your handwritten signature or your electronic business card. 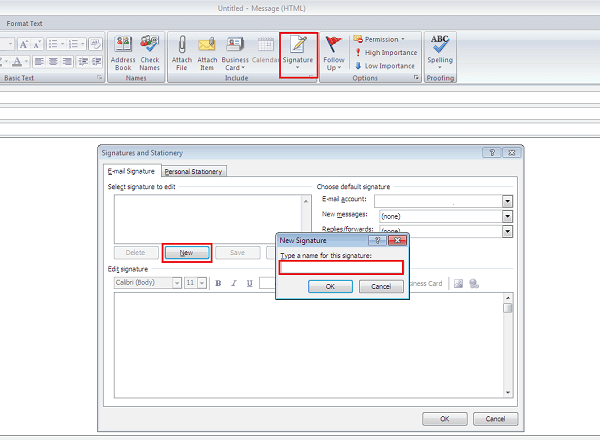 Once you make an Outlook signature you can set it to add automatically on all your outgoing email or only one the email you choose. Note: You need Outlook with at least email account already set up for this purpose, if you haven’t set up your email account in Outlook, please check ‘How to setup email account in Outlook‘. 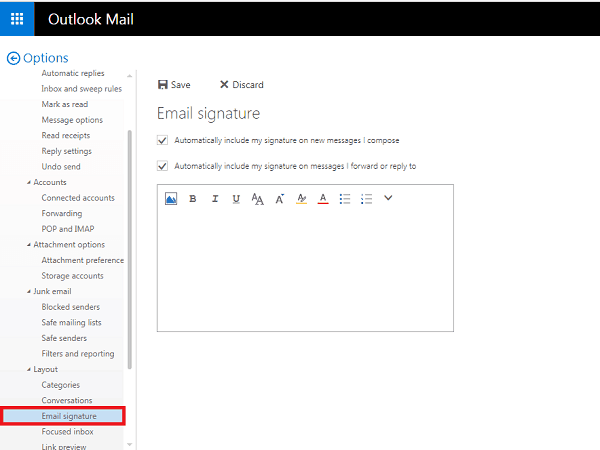 Here is the step by step procedure to create a signature in Outlook 2016 and Outlook 2013. The below steps and image illustrations are based on office 2016 signature creation. Open Outlook 2016 application on your PC. Click on ‘New Email‘, or you can use shortcut ‘Ctrl+N‘. After that click on ‘Signature’, a small pop-up will appear just below it click on ‘Signatures…‘. You can also reach here by going to Tools > option > Mail Format > Signature. In the new window Signatures and Stationery click ‘New’ and then in the pop-up window enter the Name for the signature. (It’s just name of the signature that you are about to create which helps you identify the signature when you try to insert them while sending emails. Keep the name of signature in such a way that you will be able to identify them by their name. For example, you can keep the name “Professional” for professional signature and “Personal” for your signature for your personal email). Finally, create Signature as per you prefer. You can add text, image/picture or business card to your signature as per your requirement or preferences. By following the similar procedure, you can add/change the signature in Outlook 2007, Outlook 2010, Outlook 2013 and Outlook 2016. 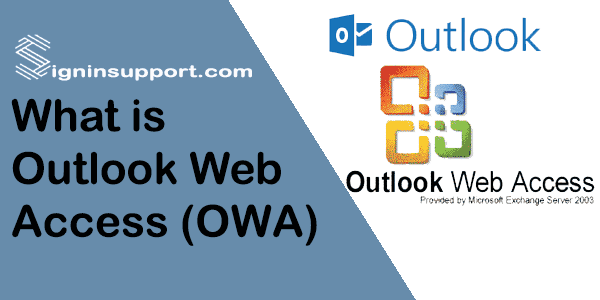 Outlook Web App is a webmail component offered by Microsoft and also part of Office 365. It includes the features managing contacts, documents, mailbox content, and calendars. It was named initially Exchange Web Connect (EWC) later called as Outlook Web Access (OWA). Managing contacts, documents, and calendars can be found in office 365 by signing in Outlook Web Access. Use of Outlook Web Access depends on what type of Microsoft account you are using. It is the web browser that is used by Organizations and businesses. There are two ways to sign in Outlook app in your web browser. If you are using free outlook.com (or if your email address’ ends as @hotmail.com, @live.com, @msn.com, and @hotmail.com) go to www.outlook.com. And if you’re using ‘Office 365 for business’ go to login.microsoftonline.com. We will guide on how to sign in Outlook Web App here. Go to sign in page of your Outlook account. If you are using any product line of Office 365 like Business, or Premium, or Personal, go to https://login.microsoftonline.com/. Any other category of Outlook, go to their login page respectively. Now enter your email address or username. Entering your full email address is compulsory. It means you can’t omit @domain portion. Enter correct password, do not forget to check Caps Lock key on the keyboard and remember that passwords are case-sensitive. Now you successfully signed into your account. You can download and use OWA for iPhone. This app is developed by Microsoft Corporation aimed at Office 365 premium users. Outlook.com email address connects not only to your Outlook inbox but also links to Skype, Calendar, Microsoft Office online and more. You need to create Outlook account to start using Microsoft’s services and products. This tutorial helps you with step by step process to Outlook.com sign up. Outlook email registration process is easy, and you can do it in a few minutes by following these simple steps. Navigate www.outlook.com on your web browser. Don’t get confused. Here you’ll be re-directed to login.live.com login page. You’re on the right way, don’t close your browser and panic. Click ‘Create one!’ as in the picture. 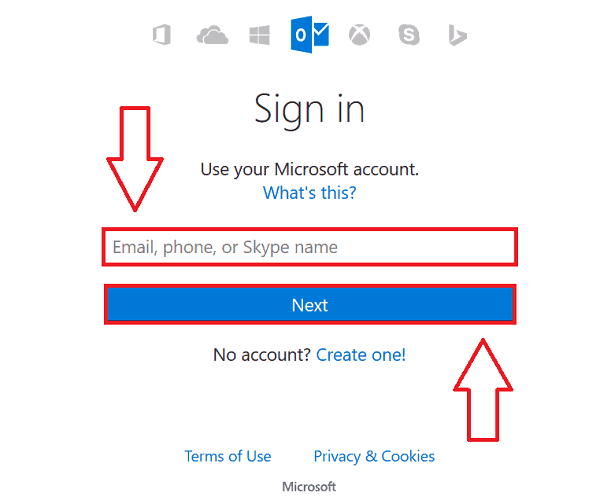 Follow the on-screen instructions and complete Outlook.com sign up form. Notice that personal information requested by Microsoft team will be used later in case you lose access to your Microsoft account and want to recover it. Though you can register outlook account by providing your personal information in your way, we recommend providing authentic and memorable info. Enter your first and last name in this box. This name will be shown to friends, family, and other officials you get connected via Microsoft services and devices. Choose a username for your Outlook. Try creating a unique and memorable username for your account. Here you may get difficulties with choosing the desired username, and we suggest you choose among those suggestions provided by the Microsoft team. Click ‘claim one of these that’s available’ to look recommendations. You can choose between @outlook.com and @hotmail.com. 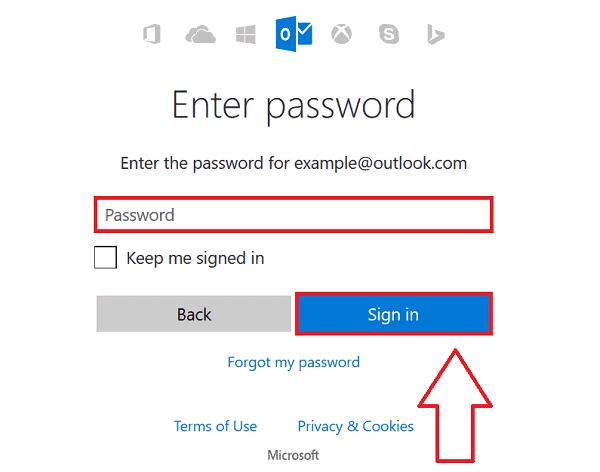 Enter a password for your Outlook account. 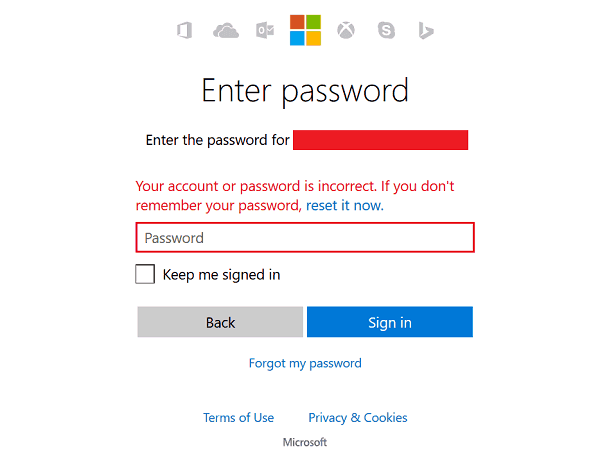 You will be required to enter a password each time you try to login to your Outlook account. So your Outlook password needs to be something that you can easily remember but hard for others to predict. We suggest you make a secure password. Bear in mind that passwords must have at least eight characters long and use any two; lowercase letters, uppercase letters, Symbols, and numbers. Notice: Don’t share your Outlook password with your family, friends, and co-workers. Provide your correct date of birth, and it helps on age-appropriate settings after you open Outlook account. Don’t worry; Other people can’t see it without your permission. If you’re creating Outlook for business, choose gender as ‘not specified’. Enter your phone number and country code, and it helps to keep your account secure. Enter an alternative email address that you’ve access. You can use any other webmail service provider’s email address here. Providing alternative email address helps you in recovering the account if you forgot login password. 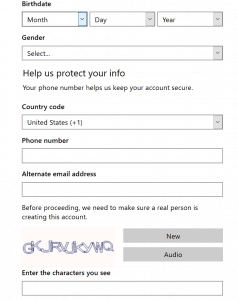 Microsoft team will send you password resetting info in this alternative email address. Enter the Captcha code as shown in the box below. They aren’t case sensitive. If you’re having trouble understanding Captcha text, click in ‘Audio’ box and enter as you listen. By clicking ‘Create account’, you agree to the ‘Microsoft Services Agreement’ and ‘Privacy and Cookies Statement’. Click on highlighted links if you want to go through this agreement and terms of conditions made by Microsoft. Congratulations. Now you’ve completed Outlook sign up process and created Outlook.com account. And will automatically be redirected to Outlook inbox, where you can get full access to any of Microsoft services available in your region. You can edit and update your Outlook account at any time. To make changes to your profile click on the icon at the right-top side of the page, as shown below. Outlook.com is a free and personal web-based email service provided by Microsoft. It has user-friendly features which make it one of the world’s best webmail service provider. Features like antispam, anti-phishing, safety bar and account expiration system help to keep Outlook account safe, private and secure.